Second floor condo overlooking the lake and golf courses. The lanai is enclosed with sliders that can be opened to enjoy the outside, while staying clean providing an additional room for you to enjoy. Having breakfast watching the sunrise is a real pleasure. My husband & I loved the resorts we had visited during our travels. When we decided to purchase a property in Florida, we wanted that same resort atmosphere. We looked at several properties but fell in love with Heritage Palms. 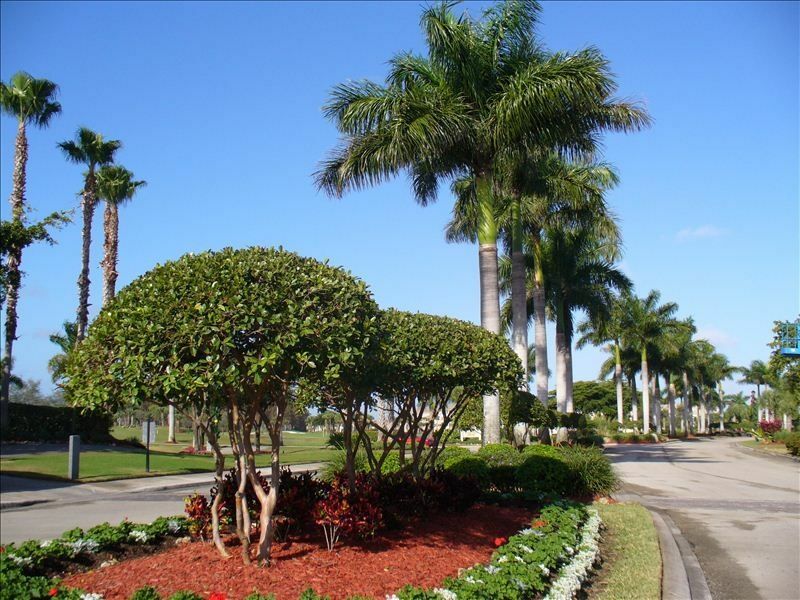 It has two 18 hole golf courses, many swimming pools (2 close to condo) and 2 beautiful club houses. It has all the amenities of a resort; but with the feel of a friendly quiet neighborhood. The clubhouse food is wonderful and very reasonable. Our children and grandchildren love to visit and especially enjoy the close vicinity to so many attractions. We have visited the Everglades, orange groves, many beaches, museums, and much more. We enjoyed taking the boat to Key West to see the beautiful historic island. Our garandsons enjoyed the ride on the Pirate Ship near Fort Myers beach. There are so many things to do nearby, our time in Florida is never long enough. I am sure you will enjoy Heritage Palms as much as we do. Keywords: Rental Condo in Heritage Palms, professionally decorated, 36 holes of golf, 9 swimming pools, 2 club houses. Near airport, Fort Myers Beach, ball stadiums, Henry Ford Museum, & bike trails. Easy drive to Everglades. My husband farms in Indiana and I am retired from the Financial Field. We enjoy Florida's beautiful weather, it is a great way to escape the Indiana winters. Heritage Palms has a Resort atmosphere with the feel of a friendly neighborhood. It is close to 2 airports and many attractions and beaches. We enjoy looking out over the lake and the golf course. Having breakfast on the Lanai while watching the sunrise. Playing golf and relaxing at the pools. 2 pools within walking distance - 2 large pools at clubhouses. An eagle makes it's home in the trees by the condo, also a game preserve nearby.